The sharp cooling in new car sales we reported for November has carried on into December. In fact, December sales of new cars were lower than for the same month in 2017 and 2016. And for the full 2018 year, 108,213 new passenger vehicles were sold and that was just slightly less than for calendar 2017. The drop-off since October has been marked however, indicating we are now well past the peak. December brought 4,893 SUV sales and 2787 sedan sales, a 64% share for SUVs. Over all of 2018, the SUV market share was 63% and up from 2017's 58% share. The rapid gains SUVs have made also seem to be over with the peak in June 2018 when 68% of all passenger vehicle sales were SUVs. One interesting trend in all this is that the luxury end of the market is waning faster than the budget end - typical behaviour of a market that is running out of stem (and typical of the behaviour of luxury vehicles being purchased by financing - hire purchase or leasing). And the industry is not expecting 2019 to be any better than 2018. "Given current global economic factors, distributor expectations for 2019 indicate a softening of the market. Further steady growth in the new vehicle sector above 2018 outturn is not expected," said an industry spokesperson. While the passenger market is cooling, the same is not true for the commercial market, one dominated by tradie pickups and doublecabs. 3,470 commercial vehicles were sold in December, a new record high for that month. That brought the 2018 total to 53,557 for the year, itself a record high and +74% higher than for the same year five years ago. 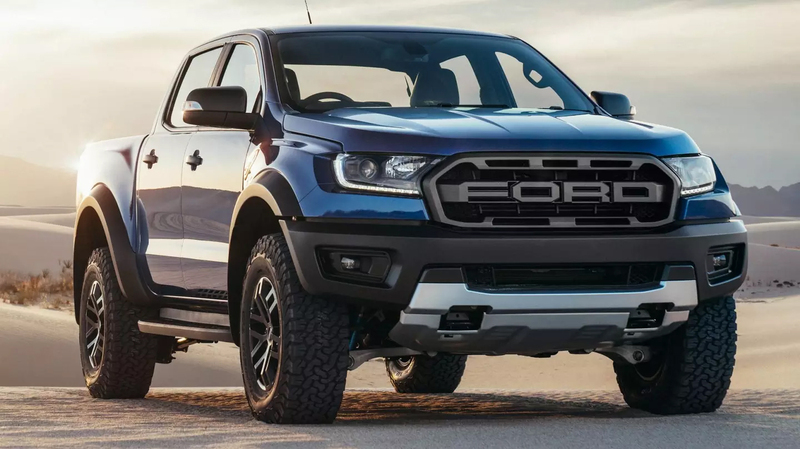 The Ford Ranger is the model that dominates this market and is the iconic representative of the type of vehicles in this class. Having noted that, sales of new heavy transport vehicles reached 6,327 in 2017, almost a +8% gain on 2017. And that was enough to make it one of the fastest growing segments across all vehicle types. Not included anywhere in this data are significant sales of hybrid, plug-in hybrid or fully electric vehicles. They are being sold but are still at less than 1% share. All manufacturers will be offering them soon, but the price differentials make their fast uptake unlikely - unless some sort of tax or cost incentive is adopted, which the Government is looking at as an encourager. Battery limitations and fast-charge stations also inhibit sales. The irony is of course, if they are successful, they will then need to add new taxes on EVs to pay for the roading infrastructure. Electronic tolling/taxing solutions are reportedly being explored. We don't have the December data for used imports yet, but that segment cooled fast in 2018 with preferences shifting to new vehicles (and supply inhibitions relating to stinkbug infestations). In the past year, we added more than 310,000 new and used import vehicles to our roads. One piece of monthly data not available is the level of 'scrappage' going on. But annual data suggests this is high too. There are now more than 4.2 million licensed vehicles on New Zealand roads and that is growing at about +3% per year. And that suggests that scrappage may be running at higher levels than recent sales levels. The 'Passenger vehicle sales' chart will be drawn here. The ' Passanger vehicle sales - Annual' chart will be drawn here. The ' Passenger vehicles yoy%' chart will be drawn here. The ' Commercial vehicle sales' chart will be drawn here. The ' Commercial vehicles - Annual' chart will be drawn here. The ' Commercial vehicles yoy%' chart will be drawn here. The 'Used car imports' chart will be drawn here. The ' Used car imports - Annual' chart will be drawn here.